Thousands of residents flooded into the streets of central Hong Kong on Sunday to protest the disappearance of five booksellers who are believed to be illegally detained by Chinese authorities. Activists touting photos of the missing men and signs demanding their release say the Chinese authorities violated an agreement called “One Country, Two Systems,” which was established in 1997 as the British handed control of Hong Kong to the Chinese government. Under the terms of the arrangement, which was further solidified in Hong Kong’s constitution through 2047, the Chinese government pledged to preserve many of the Democratic freedoms citizens acquired under the British colonial system. All of the missing booksellers worked through the Mighty Current publishing house, which has often criticized leaders of China’s Communist Party. According to the Washington Post, the first bookseller, Gui Minhai, went missing on Oct. 17 from an apartment in Thailand. 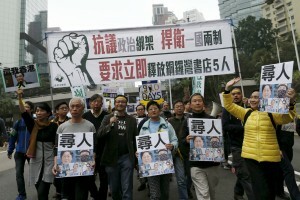 Three more disappeared on a trip to mainland China. Gui’s business partner vanished on Dec. 30. 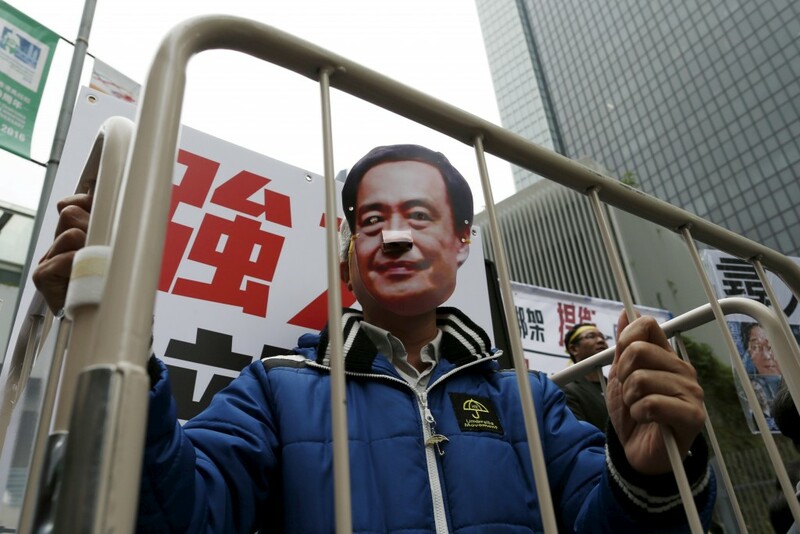 China’s Foreign Minister Wang Yi avoided recent questions on the missing men and other government agencies contacted by reporters have ignored repeated media requests for comment, according to Reuters. In a recent editorial, a state-controlled Chinese newspaper called Global Times called the booksellers an “evil influence,” also suggesting that Chinese officials should violate the law in order to “seek cooperation from an individual for investigation,” Reuters reported. “The rule of law is the cornerstone of our society,” the statement read.